There’s an announcement we have been itching to make for a couple years, one that we are now beyond excited to share with you: POLITICO is heading to California in a new and big way. As you are probably familiar, we have been having impact on the ground in California for nearly four years now. Playbook author Carla Marinucci, the pillar of POLITICO’s reputation in Sacramento, her partner Jeremy White in the Bay Area, national politics reporter David Siders in Los Angeles and national health care reporter Vicky Collier in Oakland know the state and its policies, politics, and personalities inside and out. What we are plunging into now, however, is something much more. We will be launching a full-fledged team in Sacramento to cover the intersection of policy, regulation and politics in the nation’s largest state. This new team, which will be in place to greet a new gubernatorial administration taking power in January, builds on the success of the California Playbook, which is already is a central part of the daily conversation in political circles. Readers will soon see an expanded California emphasis on the site and—very importantly—subscribers in California and elsewhere will have a robust new Pro offering on state policy issues, many of which have consequences which echo around the country and world. 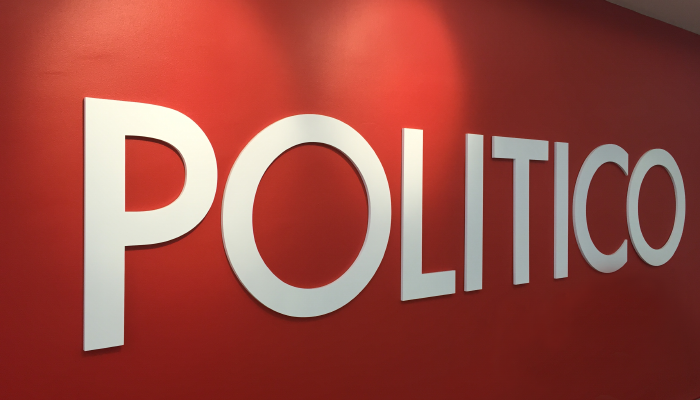 Our Publisher and Executive Chairman Robert Allbritton is eager to grow POLITICO’s editorial and business impact. This new effort is of a piece with recent moves we have made to expand into Canada, to raise our profile in Asia in partnership with South China Morning Post, and to continue vigorous growth in Europe. It is part of his vision to serve our current readers and reach influential new audiences outside our existing footprint on the most important issues shaping debates and power struggles in today’s evolving global economy. Our coverage of California, the 5th largest economy in the world, will do just that in ways that only POLITICO can. We will be hiring reporters and editors in coming months that will bring our editorial footprint in California to a dozen. These journalists will cover state-level battles over energy, health care, the budget, education and more for a California audience, in the same way we do in New York, New Jersey and Florida. Our vision for POLITICO is a publication that stands out for editorial excellence that provides unique value to our audience across multiple arenas around the world, and that is constantly offering new ways to connect the dots between arenas in ways that make them more informed as citizens and more effective as policy professionals. This announcement represents an exciting next step in that strategy. NFL Draft 2019: Who Are This Year’s Biggest Bust Candidates?